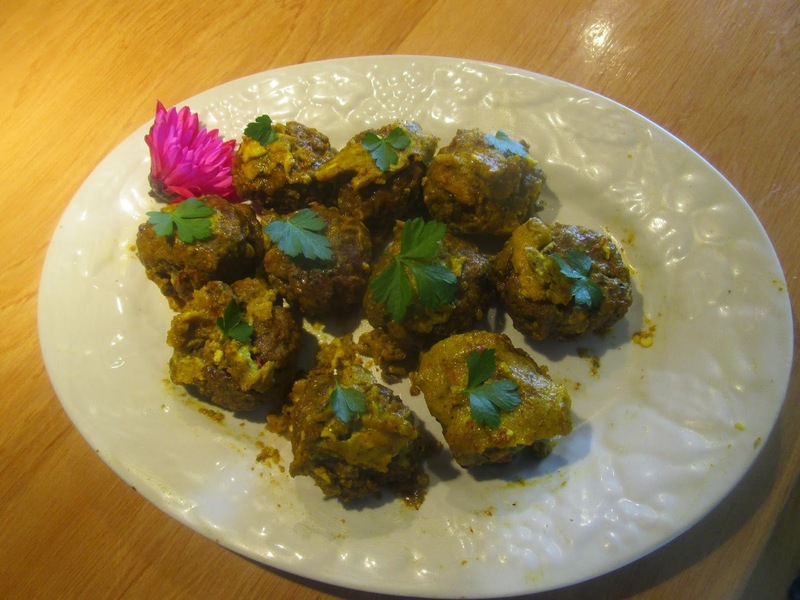 This is a delicious dish, promoting good digestion and it is similar to the previous recipe, #3. Remove tendons and grind tender meat for meatballs. Put it is a bowl and add the juice from 1 onion, 1 tsp murri, ¼ tsp pepper, coriander, cumin, 1 pinch saffron dissolved in 1 tbsp olive oil and 1 egg. Mix all together. 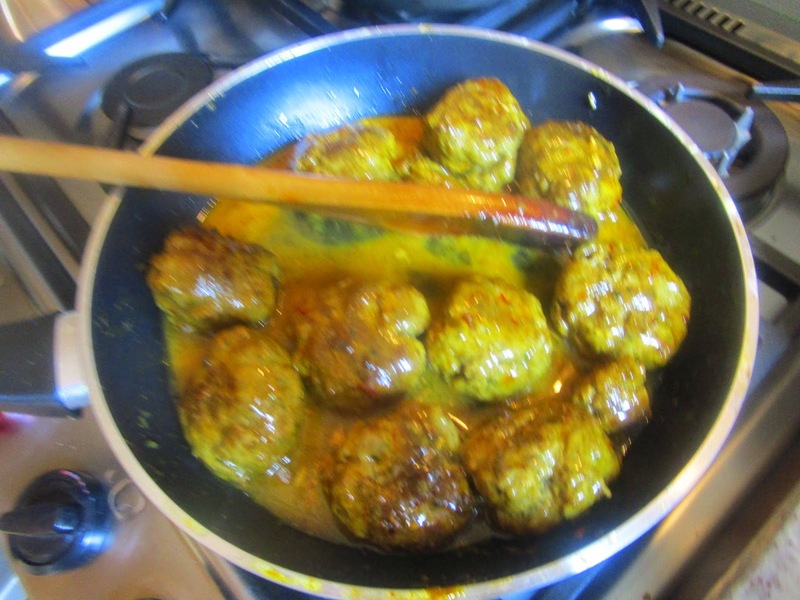 Make large meatballs and set aside. Heat a frying pan or pot. When hot, add 1 c olive oil, 1 tbsp vinegar, 1 tbsp murri, garlic and other spices at will. When boiling, add the meatballs. When done, remove the meatballs, put them in a separate pot and place this on the hearthstone (i.e. over low heat) cover them with 2 egg,s 1 pinch of saffron and 1/8 tsp pepper. This dish may be dyed as any variety of tafaya. The Medieval Spanish Chef used Duke’s Powder. See blog titled cardomomo, published August 16, 2012 for recipe.